With increasing globalization, there is a great need for integration of Global Health (GH) in the medical curricula. Global Health is the health of populations in a global context and transcends the perspectives and concerns of individual nations (WHO). 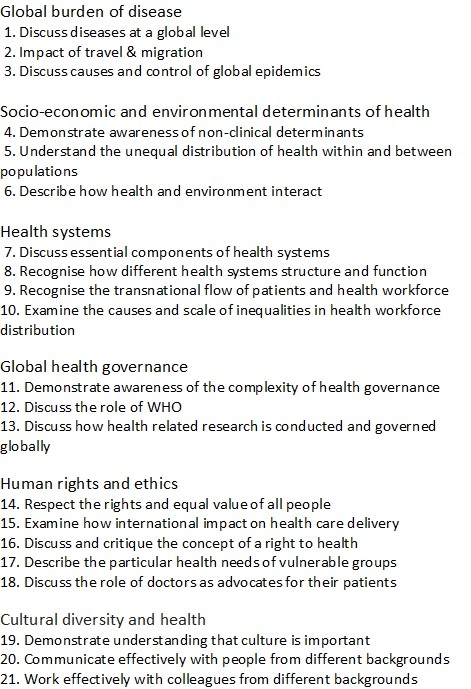 Global Health implies consideration of the health needs of the people of the whole planet above the concerns of particular nations (WHO) in cooperation with other academic fields (economics, law, environment, anthropology, political sciences). 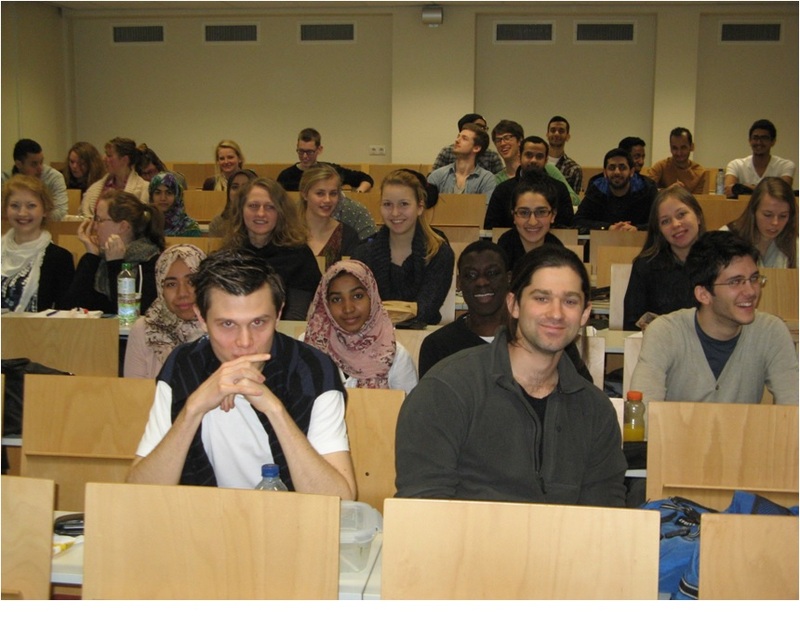 The University offers a standard Bachelor in Medicine in Dutch (NLBSc) as well as an International Bachelor of Medicine in Groningen (IBMG) programme, with both national and international students. Within the IBMG Global Health education is mandatory (see the course programme under "more detail"), in the NLBSc GH topics are not explicitly taught. We adopted the 21 proposed GH learning outcomes as formulated by Johnson et al. (Lancet, 2012) in an integrated country-based approach (Figure 1). Are students in the International Bachelor in Medicine (IBMG) programme more interested in academic Global Health (GH) topics than their peers in the standard Dutch Bachelor (NLBSc) in Medicine programme? 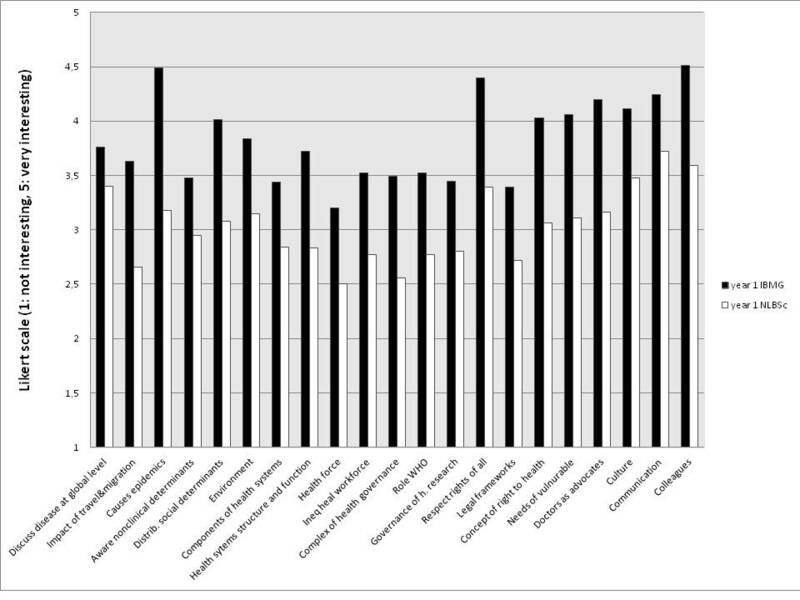 We evaluated students' interest in the 21 GH learning outcomes by questionnaire. These outcomes were measured on a 1-5 Likert scale (1: not interesting, 5: very interesting). Analysis with SPSS Statistics 20. We collected additional information on personal backgrounds and career plans. Response rate was 92% for year 1 IBMG (n= 68) and 65 % for NL students (n= 233). The overall score of the 21 GH learning outcomes among the IBMG students (M= 3,83) was significantly above those among the NL students (M= 3,03) (p < 0.001) - independent two-sample t-test (Figure 2). 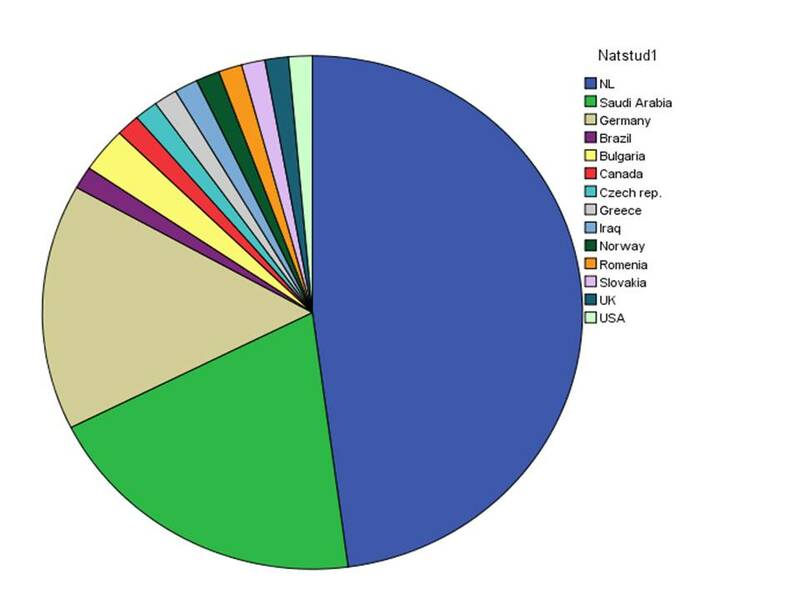 Origin of students in IBMG: 48% NL; 26,7% EU-non NL; non-EU 25,3 % (see "more detail"). Amongst IBMG students 17 % considers a career in Public Health compared to 3% of NL students. 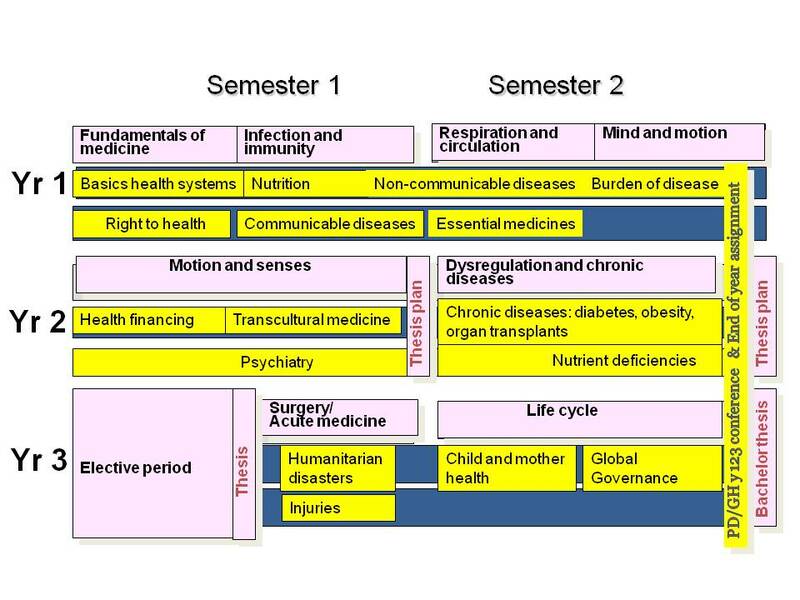 Before education started medical students within the IBMG programme were significantly more interested in the topics of the 21 proposed GH learning outcomes within their curriculum than those following the NL standard Bachelor in Medicine curriculum. The GH profile suits the students’ interest in the IBMG programme which is in line with their increased career intentions for Public Health.